The death of Shon A. Eman in 1967 caused a power vacuum within the AVP. Gilberto F. (‘Betico’) Croes, a young teacher who was a rooky AVP politician, tried to take over the leadership of the party that was debilitated by dissension. But since he was not a member of the Eman family, he had no chance to achieve his goal. That's why he founded his own political party, de Movimiento Electoral di Pueblo (MEP) in 1971. At the elections for the Island Council in that same year, MEP got 7 out of 21 seats right away, while the AVP fell back to 3. It was the last time the PPA obtained a majority. The 1973 elections for the Staten (the Parliament of the Netherlands Antilles) were considered on Aruba as a kind of referendum, where the people had a say about the choice between a ‘Federación (federation) that was the PPA's idea and that of the 'Status Aparte’, proposed by the MEP; the latter won the elections with superior numbers (48%) as Aruba concerned, and formed a coalition with the NVP party from Curaçao. In the government declaration of the Evertsz cabinet, centralization and constitutional structure were emphasized; Hendrik Croes, Betico's brother, became minister, in charge of the Department of Constitutional Affairs of the Islands. As representatives of the Central Government, party delegations visited several neighboring countries, like Venezuela, with the goal of getting support for the Status Aparte of Aruba. The Foreign Affairs ministry in The Hague did not like the visits to the exterior by these MEP delegations at all: according to the 'Statuut', Foreign Affairs are a Kingdom matter. Prime Minister Evertsz was put on the spot by his Dutch colleague Den Uyl and the result was the end of the coalition: the MEP ministers were toppled by a motion of no-confidence and they had to put down their portfolios. The PPA, that preferred the idea of an Antillean federation, offered itself as a new coalition partner. At the elections for the island council in 1975, MEP succeeded in obtaining 13 out of 21 seats. In January of 1976, when the Netherlands Government refused to negotiate about a separate position for Aruba within the Kingdom, Betico Croes threatened to unilaterally declare independence as of March 1981. And, in an attempt to strengthen national awareness, the Aruban flag and the Aruban anthem were inaugurated as symbols of an own identity during a manifestation on March 18, 1976. 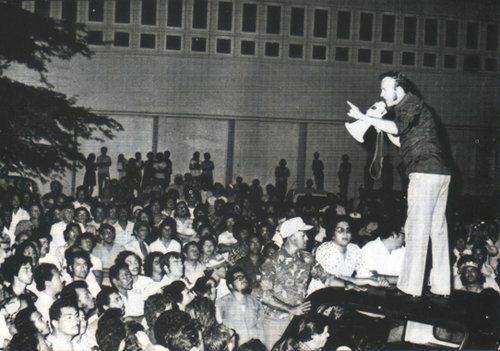 To lend weight to his threat to separate, Betico Croes organized a referendum on March 25, 1977 in which Aruba could speak out about the constitutional future. The choice was between independence and the Antillean federation. That the Status Aparte did not figure in the referendum as an option, was because Aruba could only strive for independence, based upon its right to self-determination. The right to obtain the Status Aparte was not an option, which had to be exacted from within the Kingdom. The PPA and the AVP boycotted the referendum which they considered pure party politics. But the result turned out to be a surprise: 82% of participants opted for independence. This amounted to more than half of registered voters (57%) supporting the plans of MEP. 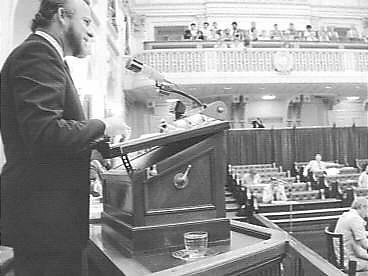 In July of 1977, elections for the Staten of the Netherlands Antilles were held. For Aruba two parties entered into the Staten: the MEP with 5 seats and the PPA with 3; the AVP reached an all-time low with less than 4% of the votes. Right after the elections, Betico Croes announced that the MEP certainly had to be included in the new cabinet at the expense of the PPA and that the upcoming government term would be used to enter into a dialogue with the Netherlands as to the Status Aparte for Aruba. On Curacao, the Democratic Party (DP) was the big winner of the elections with almost 40% of the votes. After the elections, no one was appointed - as it is the custom - to investigate whether the proposed cabinet formation would succeed. However, a new cabinet was being formed without further ado. As big winner, DP-leader Rozendal was put in charge but it was to be a difficult one, certainly as a result of the claim from the MEP to be included. The DP had always reacted strongly against the MEP and its strive for Status Aparte. Even before the order to the formation of a new government had been accorded, the MEP had sent a telegram to the Governor in which it stated that it was the turn of Aruba – and especially of the MEP – to provide someone to be charged of forming a new government. Skipping the information phase of the formation of a new cabinet was a reason for Betico Croes for sharp protests, directed at the Governor and the Netherlands. According to Croes, this was a clear sign that agreements had been made on forehand. On Aruba, he called upon the labor unions to go into actions if the PPA, as only Aruban party, would be included in the Central Government. 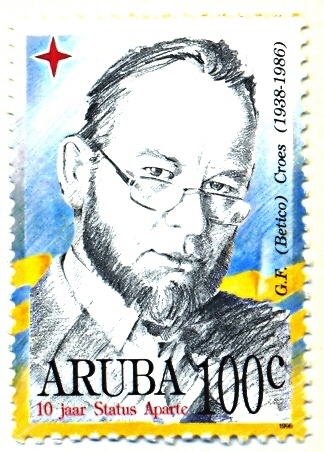 On July 12, Rozendal received Betico Croes, at which occasion Croes said that Aruba would leave the Antillean unit on March 1981 at the latest. At which Rozendal informed the leader of the MEP that for that reason, he could not include the MEP into the cabinet that was being formed. On July 15, Betico Croes announced in a threatening way, that great unrest would arise on Aruba if the MEP would be excluded of participation in the new government. During the entire month of July, Betico Croes announced that big actions were being prepared if the MEP would be kept outside of the government; at first, Betico Croes began calling up his fellow citizens to commit civil and administrative disobedience against the Central Government, the Antillian government, that is! Government civil servants would have to disregard orders from Curaçao while civilians would have to restrain from any contact with the sister island, like taking part in an Antillean sporting event. Products from Curaçao had to be boycotted. And finally a general strike would have to shut down Aruba, including the supply of water and electricity. All of this as a means of protest against the exclusion of the legitimate participation in the Central Government, but in fact with the goal of reviving the struggle for self-determination of Aruba. The plans for escalation were being plotted by the MEP, headed by Betico Croes, in narrow cooperation with the biggest and most fanatical labor union of Aruba, the Independent Oil Workers Union of Aruba (IOWUA), headed by Hyacintho Geerman. Other unions joined in, but the general union Federashon di Trahadornan Arubano (FTA) kept a low profile and the teachers union Sindicato di Maestronan di Aruba (SIMAR) vigorously opposed the union actions which they considered politically motivated. August of 1977 became the month in which the big break-through in the struggle for the Status Aparte was realized. During a manifestation on August 2, Betico Croes called upon the people to make great sacrifices. Tranquility and order would be suspended on the island, he announced. On the evening of August 5, shots were fired at the car of PPA leader Guillermo Trinidad. He was not hit but a clear signal had been given. On August 10, two union members were arrested, one of them the IOWUA president, Hyacintho Geerman. They allegedly were distributing inflammatory pamflets. Betico Croes immediately called upon his supporters to move towards the police office where the men were being held. Demonstrators called “Libertad! Libertad! ” (Free them! or: Freedom!). When rocks and bottles were being thrown, Betico Croes succeeded in calming down the crowd. 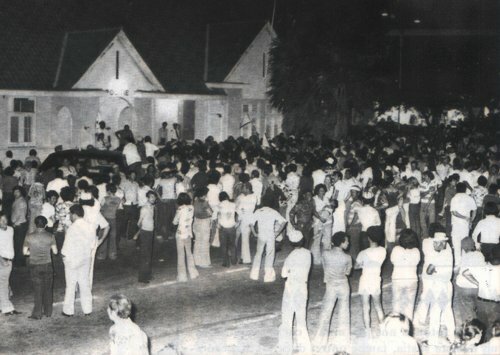 Later on that evening, the crowd, headed by Betico Croes, moved on towards the homes of the Lt. Governor (he did not show), of Judge Robbers (who invited Betico in to talk) and of the Attorney General, Mr. Arps (who came to the Government Office to deliberate, invited by Croes). Thereupon the crowd moved on to the office of the Curaçao based newspaper Amigoe di Aruba, where later that night, window panes were smashed. The next day, a general strike totally shut down the island: power was out everywhere, water supply too at several spots, the airport closed down. 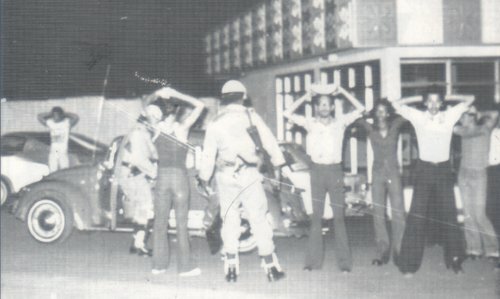 Meanwhile, the Central government had sent riot police to Aruba to maintain order; they mainly barricaded themselves around the police office, where the atmosphere became grim in the evening. Bottles were thrown, the police reacted with tear gas and fired a few warning shots; a Betico Croes supporter was hit in the leg and a bullet also hit Betico Croes' jeep. The riot police made several baton charges. The next morning, August 12, the situation remaimed tense. 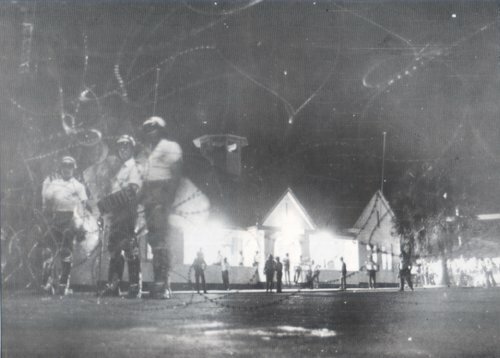 With a great display of power, the riot police marched through the streets of Oranjestad and stores and offices remained closed. The airport however was reopened, so the island came out of the situation of isolation in which it had been for some days. The riot police performed a few raids and also searched the parental home of Betico Croes in Santa Cruz. On Thursday, August 18, the general strike came to an end when the union members who had been arrested, were set free again. The situation on the island returned to normal after the decree by a judge that the IOWUA members who were on strike, had to go back to work again. On that same day, the message came in from The Hague that Prime Minister Den Uyl was willing to meet with an Aruban delegation to listen to their wishes. On Friday, August 19, a delegation was put together right away in the Aruban Island Council; it consisted of politicians and representatives of the unions and the commerce sector. In September of 1977 they traveled to the Netherlands to bring forward the wishes of the Aruban people. During the meetings with representatives of the Government of the Kingdom, Betico Croes, as leader of the delegation, stated that the Aruban people, using its right of self-determination, wished to go over to the preparation and the realization of the independence of Aruba. An independence which, according to Croes, could not be stopped neither by Curaçao nor by the Netherlands and would be enforced if necessary. Probably because an armed conflict was no longer unthinkable and because the Netherlands could not afford another incident like the Curaçao rioting of May 30, 1969, the Aruban September-delegation got what it wanted. The Netherlands came round in the end. The Dutch minister of Antillean affairs, Van der Stee, was a partisan of an open deliberation about all possibilities of a change of the Kingdom Charter. The possibility that Aruba had to go its own way was not excluded. The changed Netherlands' point of view led to the signing of the Willemstad Protocol (April of 1978) in which an agreement was reached about the installation of a workgroup which had to make an inventory of and study all possible relations between the Netherlands Antilles, the islands of the Antilles and the Netherlands. The Kingdom workgroup was headed by Barend Biesheuvel. Though it looked like they made a good start right away, the work of the commission stagnated and the first Round Table Conference of February 1981 ended as a failure. In March of 1981 a new Kingdom conference was held and that's when the Netherlands definitively gave up its efforts to keep Aruba and the other five islands together. A new commission, headed by Biesheuvel (the Commission of Seven) had to map the consequences of the independence of Aruba for the other parts of the Kingdom. But the final report of the commission (November 1982) again reflected the lack of agreement between the members on a lot of issues. 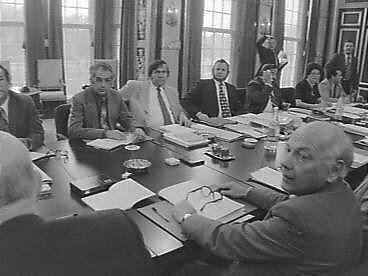 The government of Prime Minister Ruud Lubbers however was determined to achieve definitive agreements during the Round Table Conference of March of 1983. The negotiations were difficult, particularly where the cooperation between the islands in the transition phase was at stake. When they threatened to suspend the constitutional reforms until further notice and that Aruba would keep its current position in the Antillean constellation if an agreement was not reached, the parties found each other after all. It was decided that Aruba would become independent from the Netherlands as of January 1996 with a transition phase of ten years, beginning on January 1st, 1986, in which the island would function as a country – separated from the Antilles – within the Kingdom of the Netherlands (‘Status Aparte’). Betico accepted the conditions of independence after ten years of Status Aparte because the most important issue for Aruba had been realized and because he could not return home empty-handed in view of the forthcoming elections. At the last Island Council elections before the Status Aparte took effect, those of November of 1985, the MEP still came out as the biggest party but lost the absolute majority in the Aruban Parliament. The opposition party AVP succeeded in forming a coalition government with a few small parties and that meant that Henny Eman, grandson of the former AVP leader and advocate of separación, would go into history as the first Prime Minister of the country Aruba within the Kindom of the Netherlands. The evening before the day the Status Aparte took effect, on December 31, 1985, MEP-leader Betico Croes was seriously wounded in a traffic accident. He got into a coma, so he did not witness the moment that the Status Aparte took effect and passed away, without ever having regained consciousness, in November of 1986. It never came to a total independence of Aruba in 1996; it was dropped in 1990. The Status Aparte within the Kingdom of the Netherlands was to be a permanent one.